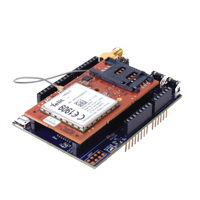 The Janus Arduino Cellular Shield provides customers with the ability to greatly reduce design and development cycle times for their cellular application projects by fully utilizing Arduino platform prototyping. The Janus Arduino Shield incorporates our complete line of pin compatible, Carrier and PTCRB certified Plug-In Modems, allowing for efficient integration into IoT applications across all cellular networks: GSM, CDMA, HSPA+, EV-DO and LTE. Janus Plug-In modems are available for global cellular deployment, as well as for other wireless network protocols. 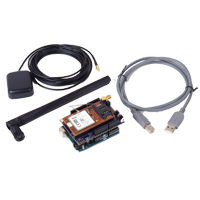 The Janus Arduino Platform removes the complications of cellular integration into complex IoT solutions, allowing users to quickly and easily evaluate readily available Arduino based options for IoT application development. A project Proof-of-Concept (PoC) phase can now be completed in a matter of days or weeks, rather than what used to take months working with the ground-up development of a PoC IoT solution. Along with the Plug-In Modem Arduino shield, Janus provides customers with both open source hardware designs and the software libraries needed for a successful integration. These designs and libraries are available for customers via our GitHub linked to this document. They are offered on an “as is” basis for evaluation purposes only.